Patterson Precision, Inc . is a leading manufacturer of medical, dental and commercial parts and assemblies. 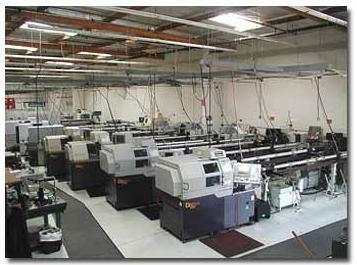 We specialize in small, high precision components using titanium, stainless and plastic materials. We are a modern CNC turning facility that utilizes five (5) Swiss Automatics, one (1) CNC turning centers, one (1) CNC mills, grinders and many secondary machines. All parts made will be deburred, blasted, tumbled, polished and cleaned to bring out the best looking products possible. Parts ranging in size from .030 to 5.00 inch in diameter are common. All parts will have a complete inspection from the 1st article, on-line and final phases. Our Quality System complies with the requirements of the Code of Federal Regulations for Medical Devices (CFR21), part 820, and the GMP Quality Systems Manual. Patterson Precision is an FDA registered company. The philosophy of the management team is to service our customers with quality parts in a timely manner at a reasonable cost. If we meet these expectations, a lasting customer relationship will continue to grow and we measure up.